When a misjudged omen undermines a tyrant’s rule, how will he ensure his survival? When the Skyfire arrives early, Dagla Kaz sets out for the ancient homeland to harvest a new Godwood and exchange Virgin Gifts. He must lead his pilgrims hundreds of leagues over pirate-infested seas, across hostile lands, and return triumphant before the seared sky dies back to normality. In his father’s absence, the renegade Aklon risks torture and death to bring justice to the people. 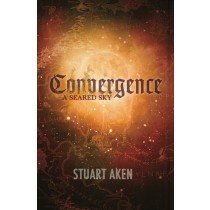 Mindtalk with a wise woman on the distant mainland has opened his eyes to the evil underlying the society he inhabits. And, whilst seeking truth, he finds a soulmate in the most unexpected place. Seeing his daughter Tumalind wrongly chosen as a Virgin Gift, religious fanatic Aglydron follows the mission to right the wrong. 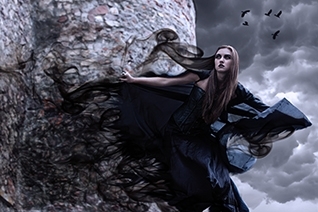 Okkyntalah, her betrothed, helps kidnap the rightful victim to take her over unknown seas and lands, facing violent death at the end of their journey. Wise woman, Ivdulon, finally discovers how the world is in danger, but only young Tumalind, a gifted female mindtalker, has the means to save it. Dagla Kaz, fanatical High Priest, fights to prevent changes that will undo all his power and prestige, engaging with evil forces to get his way. 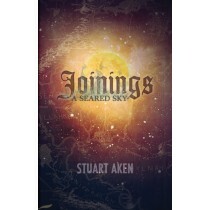 Aklon-Dji, fighting to save the future of his islanders, faces war, treachery and violent death to bring justice to his land and security to the woman he loves. Tumalind, gifted and brave, faces unknown terrors and the peril of utter destruction for herself, as she sends her beloved Okkyntalah into great danger in hope of saving the world from evil. 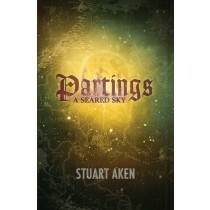 This is the final instalment of Stuart’s ‘A Seared Sky’ trilogy. 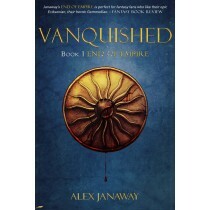 Vanquished by Alex Janaway is a classic fantasy that charts the history of a crumbling empire in the aftermath of a devastating war. From the high-born to the dissolute thief, we are given a fascinating insight into all levels of this society. 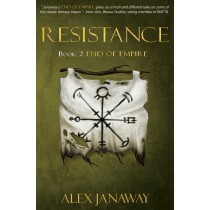 Alex Janaway’s second fantasy novel, Resistance, continues his End of Empire series that began with Vanquished. Resistance is a fast-moving fantasy adventure that picks up the story in the aftermath of the war whose aim was to extinguish all human life and follows the fortunes of four key characters: ex-arena champion, Father Michael, bodyguard to the heir of Tissan; Eagle Rider, Owen Derle; the thief and chancer, Cade; and Captain Sabin Fillion, half-human, half-elf. 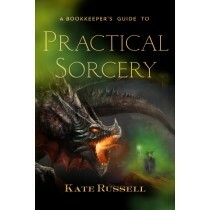 Kate Russell’s magnificent young adult adventure, The Bookkeepers Guide To Practical Sorcery, will make you laugh out loud and quail with fear. 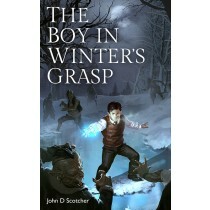 And it delivers such a matter-of-fact account of magical mechanics you'll be amazed you weren't taught it in school. 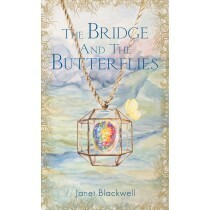 Inspired by the dramatic north east coast of England and the true story of a child arriving at her new foster carer’s house at midnight dressed only in big pyjamas, Janet Blackwell began to weave a storyteller’s magic around the lone child; and young adult fantasy, The Bridge and the Butterflies, was born. 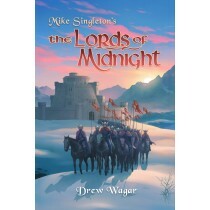 Drew Wagar’s epic fantasy, The Lords of Midnight, is set in the world of the award-winning Tolkienesque fantasy game, The Lords of Midnight by Mike Singleton. The magical land of Midnight, cursed into eternal winter, faces destruction at the hands of the Witchking. The Lords of Midnight and the Fey of the Forest combined forces once before to defeat him, but this sudden assault by the Witchking’s deadly Doomguard has long been planned to coincide with the Winter Solstice at a time when Midnight has lost the only means it has to mount an effective defence. The amazing cover art was created by Jurij Rogelj.